It’s estimated that 6.4 million UK households are in fuel poverty, and even if you’re not in this category, we could all do with saving a few quid off our energy bills. As energy prices continue to rise and the economic downturn drags on, it’s never been more important to make energy savings where you can. And you might not realise it, but at least a third of our energy bills come from electrical appliances alone. The most power-hungry are in the kitchen and living room. It’s easy to just think that it’s heating, cooking, lighting that use up most of your energy, but nowadays, the increased use of hi-tech gadgets like iPads, games consoles and home computers are consuming an increasingly large amount of the average household’s electricity. Large plasma screen TVs are one of the biggest culprits. Now, few of us would want to do without a TV or computer just to save energy, so the trick is in choosing energy-efficient appliances to save money on your total energy bills. And of course, as well as saving you cash, you’ll be helping the environment too. What is the Energy Saving Trust Recommended scheme? Each year, the Energy Saving Trust tests a selection of products for their energy-efficiency. Those meeting the strict eco criteria are awarded the Energy Saving Trust Recommended label. Using these appliances in your home is a simple, effective way of saving energy and money. Look out for the label – it’s a sure fire way to get your energy bills down to manageable levels and help the UK meet it’s carbon reduction targets. Only the most efficient products qualify for the label. For example, only fridges rated A+ and washing machines AAA (A for energy, A for wash quality and A for spin) can carry the label. And as well as appliances, the Energy Saving Trust Recommended label is given to high performing double glazing and home insulation products. By using an Energy Saving Trust Recommended fridge-freezer, for example, you could use more than £100 less in electricity over its lifetime. You’ll also save around half a tonne of CO2 compared to less-efficient models. If you choose an energy-efficient Energy Saving Trust Recommended TV you could save £70 in running costs over its lifetime. These figures may not seem that much on their own, but they all add up when you think of all the energy consuming appliances and gadgets round the home. So just by changing your buying habits your can start making a real impact to your household bills and carbon savings. A recent Energy Saving Trust report showed that if every home in the UK only replaced their washing machine, fridge freezer and dishwasher with an eco friendly model then it would save 2 million tones of CO2! That’s enough to fill Wembley Stadium more than 250 times. Look out for the Energy Saving Trust Recommended label on products while you’re looking round the shops. But it’s also easy to check out what’s on the market from your own living room. Just search for Energy Saving Trust Recommended products on the trust’s website. It’s got a comprehensive list of products that are designed to save you money and help save the environment. There’s even a list of suggested retailers for each product. The Energy Saving Trust Recommended scheme is one of the best ways to find an eco energy saving product for your home. You can also look out for the EU Energy Efficiency Labels. They show you the product’s energy efficiency rating and energy consumption. You’ll find the label on a similar range of products and appliances to the Energy Saving Trust scheme. Using eco friendly appliances is one important part of the home energy efficiency equation. Couple it with effective home insulation and draught proofing and more effective use of heating and you’ll make an even bigger difference. Generating your own renewable energy will give you a further green, and money-saving boost. 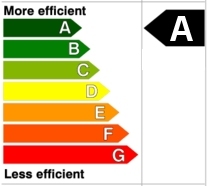 And don’t forget that if you’re thinking of selling your home or renting it out, having energy efficient appliances will help to get a good energy efficiency rating on the compulsory home Energy Performance Certificate. It’ll mean it will be easier to sell or rent your home and you could get more for it too. So why not start saving money and energy with a look at Energy Saving Trust Recommended Products now.